See their eyes light up as they learn exactly what they need, when they need it! Classworks® online intervention program helps you pinpoint learning gaps, deliver math, reading and language arts practice at the right level and gain real-time insight into student progress. "Classworks has a number of robust features that give teachers the ability to differentiate instruction for students. And, because it can be used in direct instruction as well as for remediation or enrichment, Classworks enables teachers to truly personalize instruction in their classrooms." Individualized learning is the heart of our comprehensive RTI solution. Classworks uses students' assessment data from our nationally recognized partners (or use ours!) to prescribe learning paths focused on exactly what they need to work on. Students of all ability levels get the attention they need to build confidence and accelerate. Teachers gain the peace of mind that ALL of their students have the opportunity to become their best selves! Based on assessment results, each student receives tailored instruction. Learning path assignments includes direct instruction, practice activities and games, and a formative check. Formal Progress Monitoring is included to ensure students' intervention is on track. Real-time data and easy-to-read reports show you how students are progressing. Interested in seeing how Classworks can help your students grow? math and literacy skills. Classworks K-8 English language arts, reading, and math activities are interactive, including a variety of instructional approaches. Students learn and practice skills in multiple ways and using a variety of learning styles with activities available on any device, at any time! Students receive 2-3 minute segments that introduce and explain concepts. Students engage in purposeful practice in a variety of instructional approaches. Activities include engaging, interactive games to apply what they're learning. Confirm skill mastery with a quick formative check. Explore our content grade by grade. 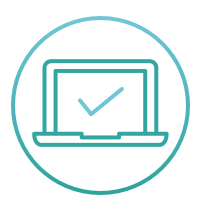 Classworks RTI Solution includes valid assessments, a rich curriculum, progress monitoring, and powerful reports--integrated under one easy-to-use interface. Give your teachers the capacity and the resources to make interventions successful. Classworks streamlines the RTI process by providing support for teachers and students at every tier. Intuitive Progress Monitoring means that you have the data you need to determine if interventions are working and make adjustments quickly. ‍Learn more about Classworks for RTI. 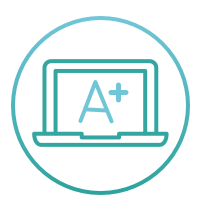 Screen students, set goals, monitor progress and measure growth with Classworks suite of assessments. The real power is in the action you take, not the data. Classworks assessments tie directly to instruction, setting your students on the path to mastery right away! Meaningful, detailed, and up-to-the-minute data provide a holistic view of how students are progressing. 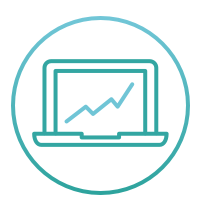 Classworks reports enable you to track and document growth, as well as analyze performance from an individual basis to a district level. MS Superintendent of the Year, Tony Cook, shares how he took Houston School District to the top of it's game, achieveing the highest performance grade in history! New professional learning, progress monitoring, and more. Take a look at our 2018 highlights! A seven-episode series to help you effectively support RTI in your school or district.